at the recent World Cup. according to a FIFA study of World Cup teams’ tactics. FIFA’s panel of coaching experts working in Brazil reported on Friday. their shape for brief moments,” the 284-page document noted. and was widely praised as the best in a generation. It was a different story four years ago. ways of making it more entertaining. coaches and players rose to the challenge. if not the fastest World Cups ever played,” the FIFA technical report said. three central defenders and only one defensive midfielder. Controversial incidents – including Uruguay forward Luis Suarez biting an opponent, and players continuing despite apparent head injuries – are not mentioned in the document. Teams are also rarely criticised, though Brazil is not spared after being outplayed by eventual winner Germany and Netherlands. Tactically, the FIFA report says top teams no longer use two holding midfielders, which was effective in South Africa. A lone striker is also out of fashion. Goalkeepers like Germany’s Manuel Neuer now function as an extra outfield player, and specialised coaching should reflect that, the report said. Four years after Spain rode its ‘tiki-taka’ passing to win the World Cup, the report notes effective use of the ball is now more important than simply having it. In Brazil, 21 of 64 matches were won by the counter-attacking team having less possession. More goals than expected came from corner kicks and “remarkable” high-quality crosses, and early leads were often overturned. “Teams that scored the first goal were at times too confident and too sure of themselves,” the report said. Defensive tactics included aggressive pressing to get the ball in the first 15 minutes, and holding a back line at least 40 metres from goal. Costa Rica and Algeria are praised for making progress, and so was the CONCACAF region which also had Mexico and the United States reach the second round. 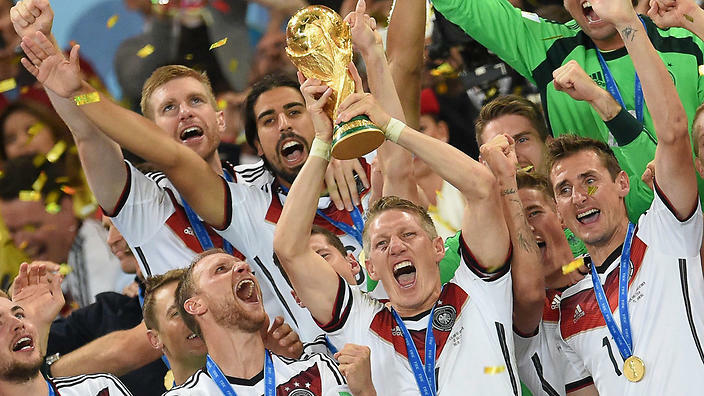 FIFA’s experts also hope the World Cup will encourage a generation of unselfish players putting their team first.